With the sheer amount of action games that come out every year, it’s hard for one game to stand out above all else. But Far Cry 5 does just that. Maybe the ending was a big let-down, maybe the gameplay lacked innovation, but the overall experience that Far Cry 5 delivers makes it THE action game of the year. Set in Montana, USA, the game follows the exploits of unnamed Deputy who must take down the cult Eden’s Gate. The cult’s existence is based on their distrust towards the government, an all too real scenario in many places in the US. The gameplay is just like previous titles, but Ubisoft has managed to mix it up this year with human and animal companions. The animal companions feature Cheeseburger, a giant bear, Peaches, a mountain lion and Boomer, a dog. One of the hottest selling games of 2018 and with a Metacritic score of 94, it’s no surprise that God of War makes this list. The game was extremely hyped up before its release and delivered record sales with it’s more polished gameplay compared to previous titles. In this game, the fans see a side of Kratos never explored before, a warm and compassionate side. The game features Kratos and his son Artreus who want to scatter the ashes of Kratos’ wife from the highest peak in the realm. Artreus screws up along the way, a lot. But Kratos is actually compassionate for a change and tries to keep his cool. What hasn’t changed though, is the incredible action sequences, and the game is a big hit so far. One of the ways to rate a game is to see how it ranks among its own genre. And Pillars of Eternity is the gold standard for its peers in the iso-RPG genre. The game showcases a perfect balance between innovation and nostalgia, and the sheer amount of dialogue in the game is staggering. The character’s decisions shape the game’s journey, as well as the personality of the character very significantly, which when combined with a large amount of character customisation features gives us the perfect RPG. The sheer amount of pressure on any Spiderman game is off the charts, simply because the character has such a ginormous fan-base. Any new tweak may piss off an entire universe of web-slinger fans. Added to the fact that its been years since we’ve had a decent Spiderman game, the expectations on this game were significant, to say the least. Suffice it to say, the game delivered, wholesale. The game was a huge success and delivered on the one thing Spiderman fans were crying for – an open world. The character can explore the open world as much as he wants, and the gameplay is simply amazing. The web-swinging sequences especially are a joy to watch. The game also borrowed the combat and upgrade style from Arkham’s Batman which was a huge plus. All this along with a unique story devoid of all the usual backstory beginnings makes this game one of the must play games of the year. RDR 2 is the culmination of Rockstar’s gaming innovations since GTA 3, and it had been in the making for almost 8 years. The result is that it delivers a game of superior quality in almost every aspect measurable, by any standards for an open world game. RDR 2 is simply one of the greatest open games of all time, period. It is also one of the most ambitious. The story is that of a western drama-epic. It is almost 60 hours long and features Dutch van der Linde and the playable main character Arthur. Dutch is charismatic and follows criminal ventures for money, his main aim is saving enough money to escape the western civilization with his loved ones. The rest of the game follows whether this plan comes to fruition or not. The result is easily one of the greatest games of 2018, and quite possibly one of the best ever made. This is a game that was developed by Dontnod Entertainment. It has a slice of supernatural life in it. The plot is played a character in the game Jonathan Reid, who is doctor who turned himself into vampire. The doctor comes to understand and accept his condition, even though he is confronted with the Hippocratic Oath and the new thirst for blood. In the game you get fight most combat, and also you can avoid the combat. The game gives you a chance to also kill innocents or not, that’s you own choosing. There is a dialogue option that gives you a clear on the conversations happening. You use your weapons and supernatural abilities to fight off your enemies. Vampires all over the place, you get to kill and feed yourself and move on in the story. More over the setting is in London, fictional London, with semi open world, which is made up four districts. So you get to move along so many places and kill vampires. This is the game you need to get , it has all the action you can think of . You get to track your targets and kill them in anywhere you can. This is the game, where every mission counts. Agent 47 is code name of the character, when playing you to experience the thrill of being the best spy killer in the world. It follows an interesting you will love. I love this game, the story line follows. The mission this time is to kill or destroy the shadow client and unravel his militia group. But later on, when the agent found out whom is truly, everything changes in the story an interesting game to play. combat to master everything she knows to overcome and save the planet from an apocalypse. I hope the knowledge about these best games for the year will make get ready to buy and try it for you self. If is not out yet. Just wait and be patient. Thanks for reading. Wearable technology is proof that the digital age is advancing faster and faster every day. With plenty of unique, stylish, and functional items to choose from, wearable tech is becoming more and more commonplace, especially in the world of sports and fitness. Garmin, a GPS and wearable technology manufacturer and maker, has recently released their latest product into the market: the Vivofit 4. It is a basic and simple fitness tracker without extra bells and whistles, tracking only steps, time, calories burned, and sleep. It can also track distance, which it does based on the stride length that you input in the settings menu. The smartwatch also automatically starts timers during walks and runs, monitoring higher intensity steps as a separate counter. Some other features available on this watch are an alarm, a countdown timer, a feature that makes it easy for you to find your phone, and a weather display. It also records times of inactivity that will inform you if you have been sitting still for too long, prompting you to walk for a short while to reset the alert. You can also set daily goals for your fitness journey, which will be automatically and gradually increased as you meet them. These combined features are great for those who need a little extra motivation. makes the watch a little inconvenient to use, as you have to click it multiple times to get to the screen you want. Other more complex functions on the watch require different pressing patterns, such as a longer push followed by a shorter one. This is also quite clunky and can be frustrating when you’re figuring out how to get somewhere. The tracking function on the Vivofit 4 leaves something to be desired. It’s relatively accurate, but nowhere as reliable as a GPS feature would be. However, the smartwatch has the ability to automatically detect and classify a number of different activities, like swimming, biking, and jogging, which is a useful additional feature not typically expected of a product in this price range. You can also sync information tracked using the smartwatch to the Garmin Connect app for easier management and sharing. adjustable like an ordinary watch. There are also small personalization settings available in the watch, which adds a nice custom feel to it. All in all, the Garmin Vivofit 4 is a great option for those who are looking to get a little more exercise in their life at an affordable price, but is not the best for fitness fanatics who need all the bells and whistles that come with higher end smartwatches. 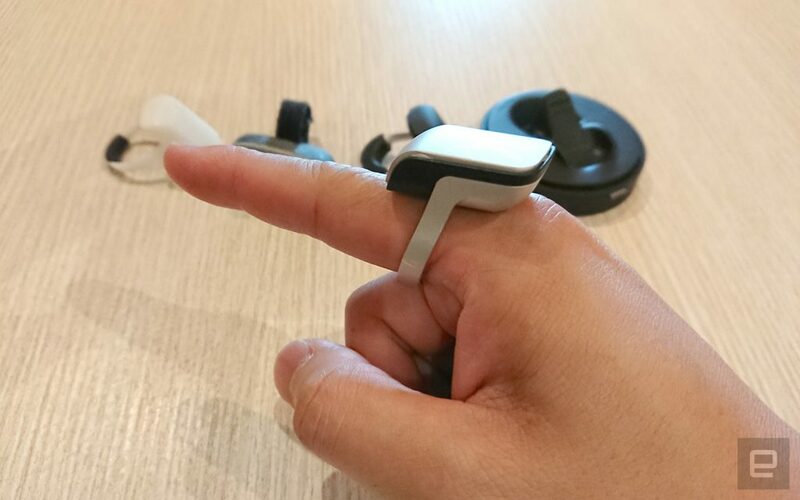 It isn’t a perfect piece of wearable tech, but its simplicity and low price make it worth the investment for those who need an extra fitness boost. Let’s face it. Christmas is just around the corner. And with Christmas, the season for giving gifts is here with us yet again. But, this time, we won’t be giving our loved ones the usual gifts we give them. It is time for a change. We will be giving them tech gifts. This is the first gaming robot on planet earth. You can control it using an app you download and install on your iPad or iPhone. A major capability found in this robot is augmented reality. When buying this, you can choose between white and black colors. Yep. Health is essential. with this fitness tracker, you now have the ability to track your heart rate and everything revolving around your health, including, how well you have slept. You don’t have to charge the battery every evening. The battery can last for a whole week. This is one you can’t miss. This device has the ability to rival majority of the laptops you see around. The reason behind this is the A10X chip in it. You can choose from gold, rose gold, spacey grey and silver colors. It will depend on which color you love. You have been wondering when you could read while in your bath, right? Well, wonder no more, amazon kindle oasis has just fulfilled your fantasies. This device is water proof. On top of that, it has a high-resolution seven-inch display. This won’t break your bank account but it will turn your home from an ordinary home to a smart home. You get controllable lights which offer both brightness and color, all in a single installation. These you can control using siri or any other similar app. This is a smart speaker that has a hub for your smart home built into it. With this, you have the ability to control appliances, lights, and plugs. In general, you can control all the smart devices in your home. This is a camera and you can easily mount it to your helmet. Both WiFi and bluetooth are enabled in this device. It is water proof, hence you don’t have to worry when you go on an adventure and it starts to rain. Additionally, when you acquire this cam, you get yourself a device with photo burst and time lapse features. Also, one-button control is present. This piece of tech is bringing music right to you in the shower. Don’t worry about water damaging it while you take a bath. It is water proof. Nobody wants wires in the shower. That is why this device is wireless. If you want to make your loved ones enjoy their shower experience. Then, get them this gift. Do you know anyone with an android phone who you would like to get a gift? This gift is just perfect for them. This is how you introduce your loved ones to virtual reality. The reason being, you will not have to break your bank account to acquire this gift. Ever wanted to remain comfortable on your sit when someone rings your doorbell? Then, this device is for you. It has the ability to send an alert to your tablet or smartphone any time the buzzer on your door is pressed. The HD-camera and two-way microphones available make it possible for you to interact with the person on the door without actually going to the door. Smart clothes is the word that has come to represent wearable fashion that has technology or gadgetry infused into it. They are designed to be used for various purposes including charging our gadgetry, tracking your heart rate during exercise, monitoring your health, your destination, the list is endless. Tech fashion is still a new concept, hence designers are still finding new ways to come up with fashion for the mass market – outside of sports, and monitoring our fitness and health. 1. Handle calls or texts without having to pull your phone out of your jacket. 2. Play, pause, or skip music you’re listening to. 3. Hear your directions for your destination. It connects to Google maps. The technology woven into the fabric is provided by Google’s Jacquard. Jacquard’s threads are woven into the cuff and wirelessly connected to your smartphone. First off, the Jacquard app which is available for both ios and Android will ask you to customize different gestures and features for your suitability, such as what should happen when you tap twice on your yarn or what happens when you brush toward or away from you. 1. Its an attractive looking jacket based on a classic trench coat design.Its good work from Levi. 2. The back is not longer than the front and the cuffs are tighter. 3. The smart tag is small and the sleeve is highly responsive. 4. You can remove the smart tag and wash your jacket. 5. You can use it as a normal jacket off the bike. 1. Expensive, you will cough up $350 USD for one. 2. You have to have your smartphone around you and headphones on. 3. The smart tag is removable and this will help in washing the jacket but the fabric of the jacket will not last after being washed 10 times. 4. The Jacquard app works with Android 6.01 or newer versions and ios 10 or newer versions. 5. Since its highly responsive, it goes without saying that the sleeve is a touch sensitive. Google and Levi had partnered before, but this jacket has a lot of promise compared to their earlier releases. It is just starting to hit stores with its earliest release coming on Wednesday September 27th. This smart jacket is also available on Levi’s Site from October 2nd. But this is all in US for now. The Friday global cyber attack that hit universities, businesses and health systems has raised alarm among institutions and security experts, affecting over 150 countries. United Kingdom was the first and the worst affected, suffering the hit with 48 National Health Organizations hit, a tragedy that robed of the institution test results, x-rays and patient records, leading to suspension of operations. However, all these institutions except six agencies have already embarked on normal operations with their patient data intact. In a political debate that was held on Sunday in UK, the Conservative government was accused by both Labor Party and Liberal Democrats for failure to prevent the breach and demand for an investigation. The labor party further claimed that the Conservatives slashed the IT budget meant for NHS and failed to renew a contract meant to protect its computer systems. In response, Michael Fallon, the British Defense Minister told BBC of the government’s attempts to restore the NHS cybersecurity with the set aside $64 million. Of the 200,000 computers which were hit (as reported on Sunday), many belonged to the government agencies and other big institutions around the world. Big institutions suffered vulnerability due to outdated technology, one of them being the NHS. This figure had risen from Friday’s 75,000. This attack has seen the US President Trump signing an executive order to safeguard his nation’s IT system which is also said to be aging. This occurred following an emergency meeting Trump had called to assess the cyberattack threat, followed by another meeting on Saturday meant to find out the perpetrators. The hacking was termed ‘unprecedented’ by Europol Rich Barger, US security expert recognized it as the largest ever global ransomware attack to confront the cyber community across the globe. Spain’s Telefonica, Iberdrola and Gas Natural also suffered the attack. US FedEx also had its Windows Computers Hacked. In Russia’s interior ministry, 1000 computers got infected but the ministry later on handled the virus and reported to have lost no sensitive information. Germany Railway company, Deutsche Bahn, North England’s Nissan Manufacturing Center, Renault (Car Manufacturer in French) and several institutions in China were all affected with this attack. On Saturday, the New York Times reported that all infected computer systems around the globe were asked via email to pay $300 to $600 in form of bitcoin so as to have their devices unlocked, a command that was promptly obeyed by most users in fear of their systems’ collapse. This means that the hackers gained around $1 billion! Experts now believe that the hackers used a tool which had been developed by US National Urgency to perpetrate their hacking on Microsoft Windows Computers. It is therefore believed that ransomware greatly contributes to the organizational infiltration in US. One of the committed British cybersecurity researcher reported to have discovered the ‘kill switch’ which seemed to prevent the spread of malware. The researcher noticed the virus searching for the unregistered address. Oblivious of the effect, he tried to register the domain only to find out he had already halted the spread. On Saturday, the founder of the United Arab Emirates cybersecurity Company’s founder Matthieu Suiche reported that the killswitch could temporarily minimize the impact in US. It is still feared by security experts and government officials that additional hackers may alter malware codes and conduct another similar attack. As stated to Reuters, Japanese government cybersecurity advisor Willian Saito warned that most companies may possibly fail to realize that their systems were affected, till Monday. To sum up, despite all the speculations, it is still unclear who or what caused the attack. It may require months to conduct investigations aimed at establishing full evidence. 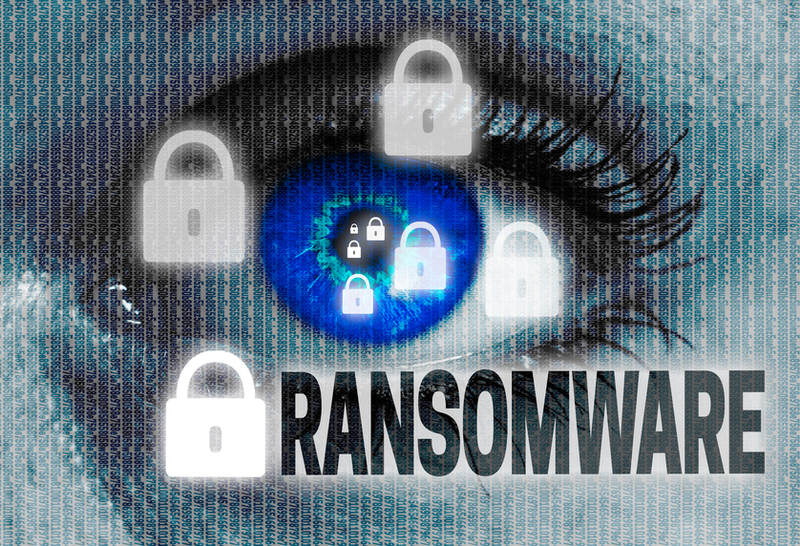 How important is it to fight Ransomware? On Friday May 12, 2017 a massive ransomware infection hit computers across 99 countries, including Russia, China, England, USA and Spain. This infection, WannaCry, is spread through a worm – a program that automatically spreads amongst computer systems. The birth of this program can be traced to NSA’s attempt to identify weaknesses in Microsoft systems which was stolen by a group of hackers known as The Shadow Brokers who made it available to the general public in April this year as a protest against US President, Donald Trump. The BBC reported that more than 40 of England’s National Health Service (NHS) hospitals and numerous health practices were hit the worst, with thousands of crucial surgeries and appointments cancelled as a result. The malware spread like fire and people across the world began to report computers shutting down in quick succession. Staff at NHS hospitals shared screenshots of the attack which demanded $300 (£230) in the virtual currency Bitcoin as ransom to free the files for each computer system. As the day progressed more and more reports began flooding in from European countries, particularly up to 1,000 computers in Russia’s banks, interior and health ministries, railway and a mobile phone network. However, the virus was countered effectively and quickly so no sensitive data was compromised. In Spain, telecom, power and utility companies were hit and staff were told to shut down their computers. The French car manufacturer, Renault, Portugal’s Telecom and the courier company FedEx were also affected. Social media sites such as Twitter were flooded with thousands of pictures and posts about this virus throughout the weekend. Even though the spread of this attack was temporarily alleviated when a British cybersecurity researcher activated a ‘kill switch in the malware’s code’ which bought additional time for all affected organizations, it didn’t help those that were already hit by the ransomware. It is crucial to stop such attacks because they are not only criminal activities which affect individual privacy but also pose long term negative effects and dangers to businesses and economies. Organizations were left virtually at a standstill during this recent attack. If left unchecked, such attacks can breach private data, such as credit card information which can leave innocent and unsuspecting citizens exposed to fraud and theft. In the light of recent ransomware attacks, crucial medical operations were also suspended which left patients without necessary treatment and could eventually put their lives at risk. To develop long term measures for ransomware protection and protection against such attacks in future, government officials from seven countries have met in Italy to assess the threat of this cyber-attack and its implications on security as well as the global financial system. This will enable mobilization of all countries to pledge global cooperation against cyber-crime and strengthen vulnerabilities of security measures. Experts emphasis that users can themselves protect their systems by employing certain safety measures. One of these includes regularly backing up your system through off-line sources such as data banks and hard drives. It is also important to be extremely vigilant while visiting suspicious websites and opening attachments to ensure the safety of your system. VR Glasses – Virtual reality glasses are becoming a hit in computer gaming and entertainment industry in that they incorporate interactive functionalities unlike the traditional glasses. Apart from being able to show images in 3D, they can also be used to play audio files, videos, view maps and connect to the internet. There are many renowned brands of VR glasses available in the market today e.g. Google, HTC, Samsung and many more. VR Headsets / VR Boxes – A VR Headset provides immersive virtual reality environment for the wearer. VR headsets are widely used in computer gaming but are also used in other applications, including simulators and trainers. A wide range of these headsets are cross platform i.e. they are compatible with most mobile operating environments. They can be used to watch 3D movies from mobile devices. Various types are available e.g. Oculus Rift, HTC Vive, Sony PlayStation VR, Google Cardboard among others. Healthcare – This sector has been one of the biggest adopters of the VR technology, established health institutions are using computer generated images for treatment and diagnosis. Virtual-reality simulations use actual diagnostic images from a computerized tomography scans or ultrasounds to construct 3D models of a patient’s anatomy. The virtual models help surgeons and medical practitioners to perform safe medical procedures on a patient. Through virtual reality and with the help of 3D printing, models of medical parts can be developed for studies and references. Other examples of VR in healthcare includes human simulation software, virtual robotic surgery etc. Automotive Manufacturing – In automotive industry, VR technology has been deployed to design and process virtual prototypes of vehicles before real production can commence. This is done using high-tech simulation software to enable designers to inspect and test various aspects of the vehicle before mass production. In 2013, Ford became the first automobile maker to deploy a cross-cutting high definition virtual reality lab that enabled its designers and engineers to work simultaneous and real time. This saw massive improvements in the design and general out view of Ford Fusion and Ford Mustang brands. As a result of this simulation, the company was able to cut production cost as result of man power transfer. 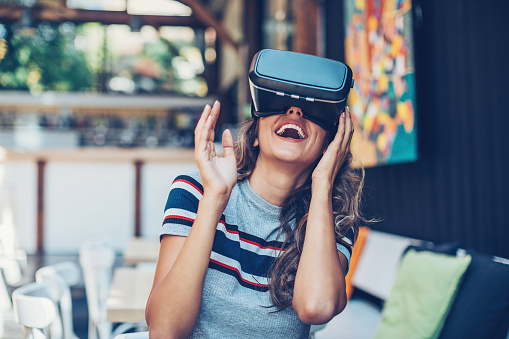 Shopping – Traditional online shopping may be a thing of the past if the advancement of VR technology is anything to go by. Of late, apps that can provide virtual tours of stores have come into play thereby improving on the traditional online shopping experience. This is a big paradigm shift from browsing online catalogs since a shopper can virtual walk through a store and select whatever he/she needs. 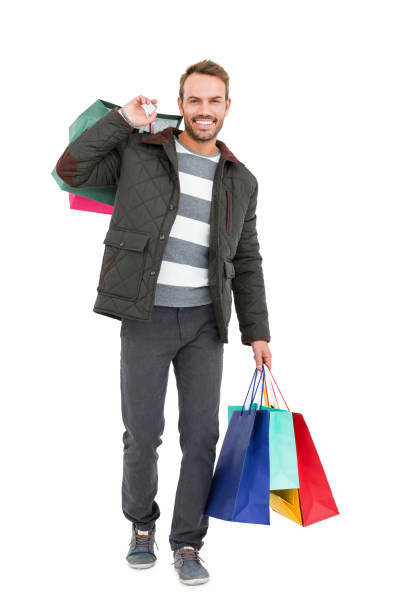 Emergence of apps like Trilleniumcould even allows collaborative virtual shopping where one can shop with his friend.